Men at work in Victoria Falls Town: These Zimbabweans were found working on the road from the Victoria Falls bridge last evening. 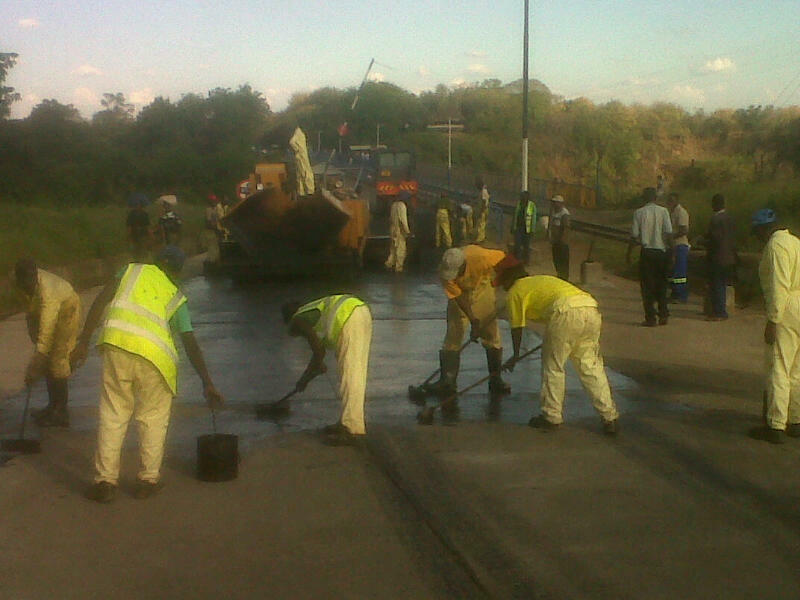 Zimbabweans were found working round the clock putting the last surface of tarmac on the road which also has a concrete of approximately four centimeter thick. The tarmac layer of about four centimeters thick.